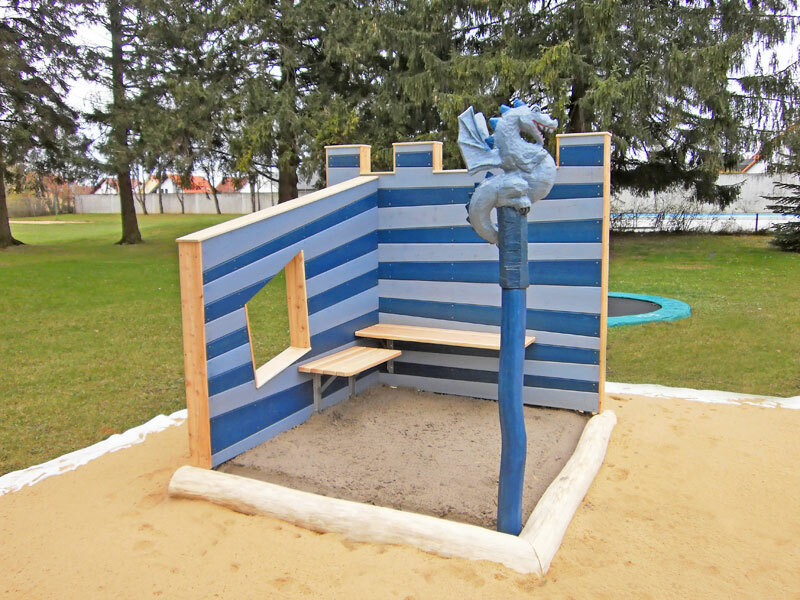 Because the time a child can spend in the water is limited, the Türkheim Municipality wanted to expand their swimming facility with a freestanding playground. What they got was a uniquely designed Knight’s castle consisting of three towers connected by a creep pipe and a suspension bridge. 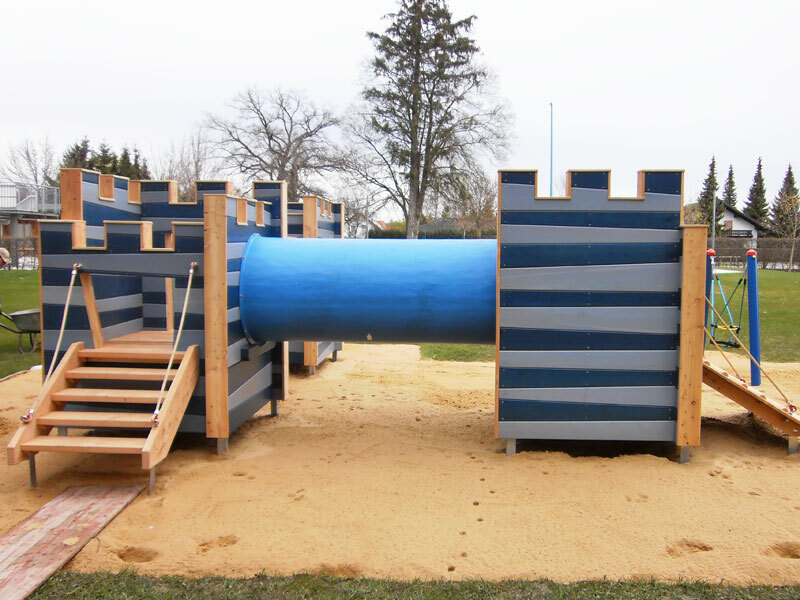 The towers can be accessed by using the mountaineer's ramp, a stairway and a drawbridge. 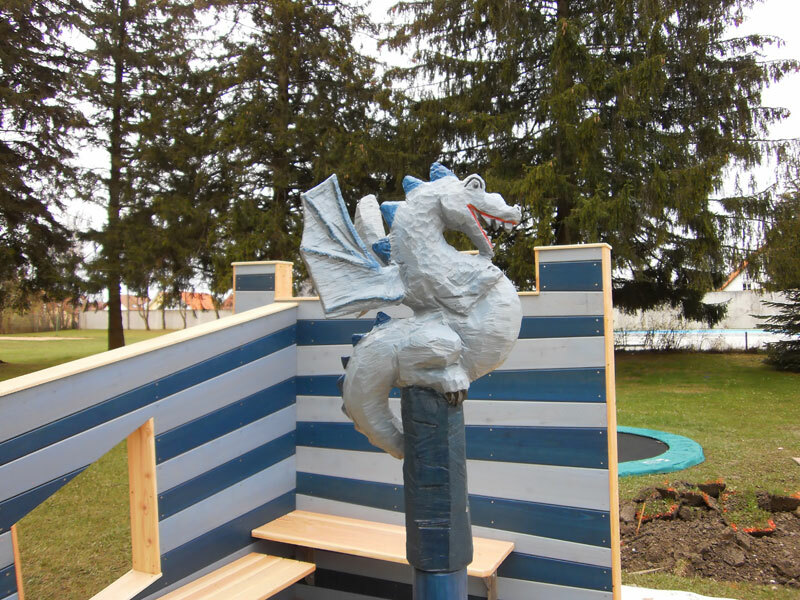 The whole construction is built of wood and protected with weather-resistant paint. 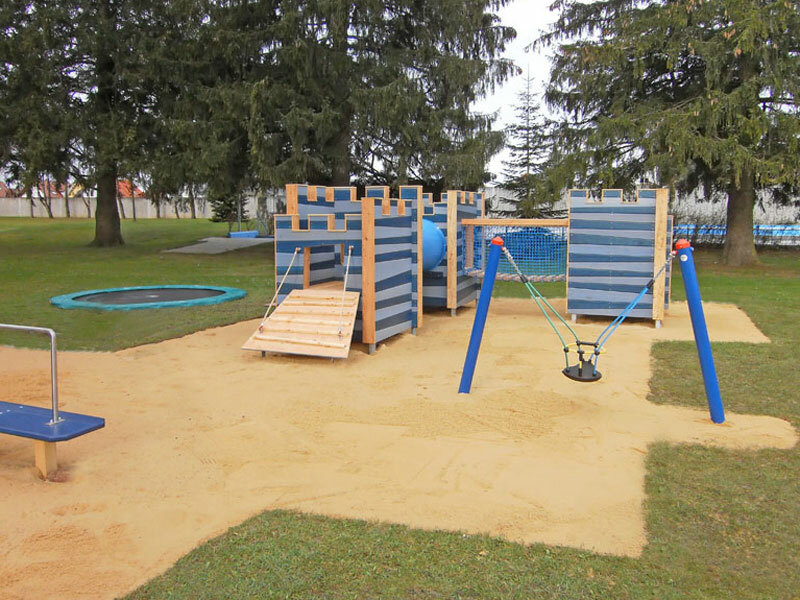 In addition a sandpit with unusual borders that can be played with and two additional pieces of play equipment are available for the kids.